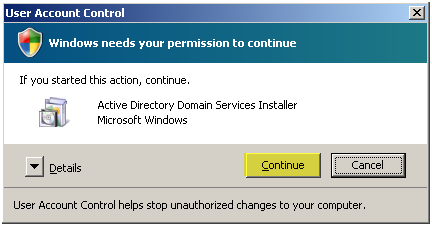 From my Windows Server 2008 machine, I will be running DCPROMO to turn it into a domain controller for my new domain. 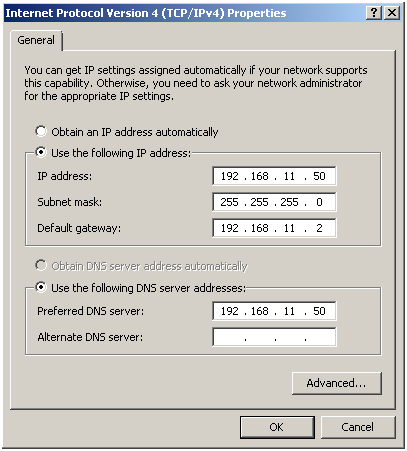 Before we run DCPROMO, we need to make sure we have a Static IP Address set. 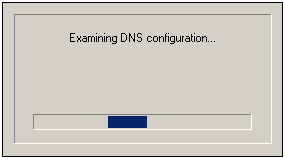 If this is your first Domain Controller on your network set the DNS server to the same IP address you set for the server itself. 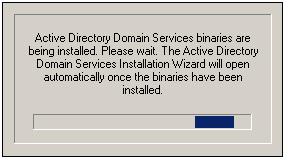 This is because we will be installing DNS with this Domain Controller. 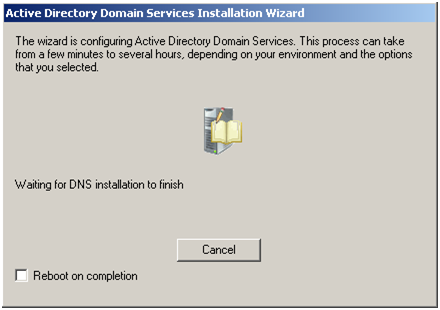 For clients in an Active Directory domain they must point to a DNS server located on a Domain Controller. 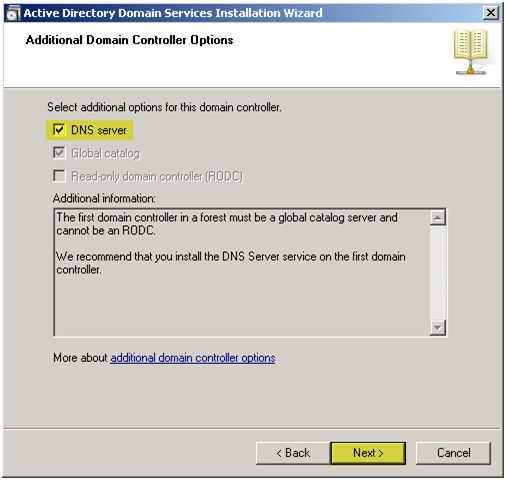 If you are connecting to an existing AD domain then point the Preferred DNS server to another AD Domain Controller. 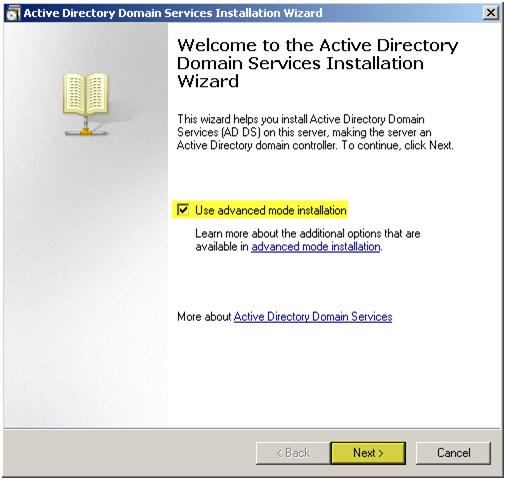 After AD is installed you can point the Preferred DNS server to itself and point the Alternate DNS server to another AD Domain Controller. 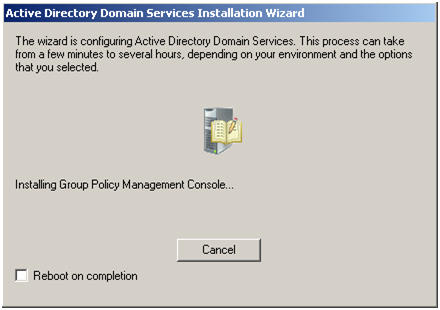 The improvements to the Active Directory Domain Services Installation Wizard are all available by default. 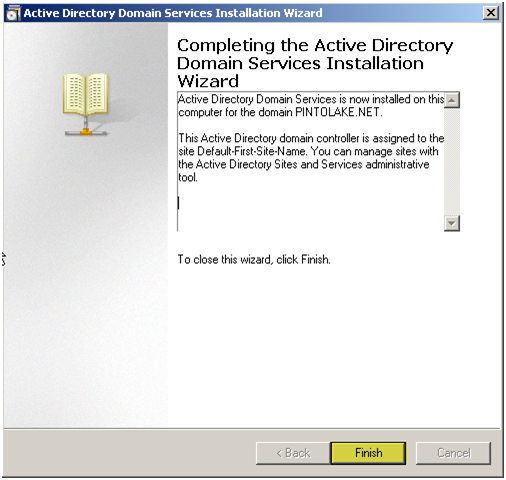 However, some wizard pages appear only if you select the Use advanced mode installation check box on the Welcome to the Active Directory Domain Services Installation Wizard page of the wizard. 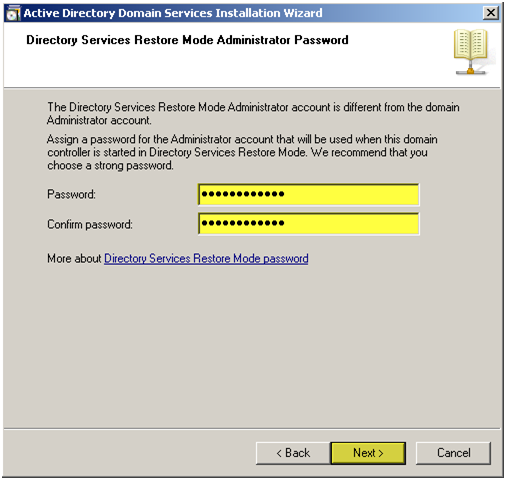 Advanced mode installation provides experienced users with more control over the installation process, without confusing newer users with configuration options that may not be familiar. 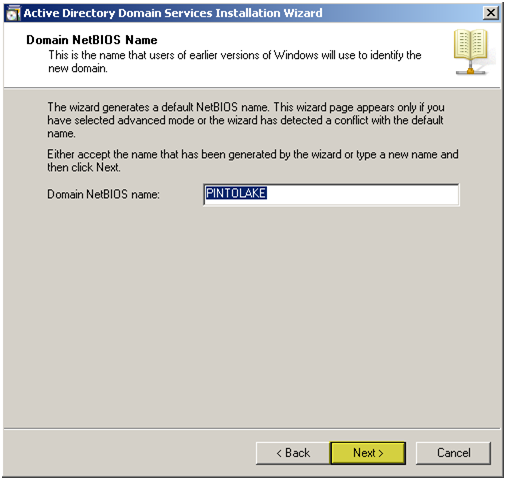 For users who do not select the Use advanced mode installation check box, the wizard uses default options that apply to most configurations. 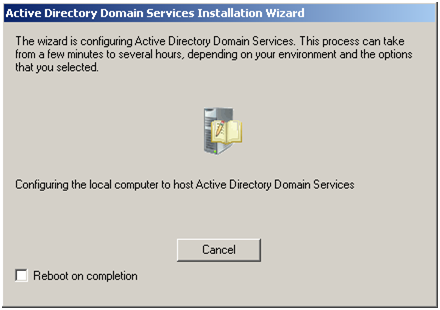 The new option on the Welcome page of the wizard enables advanced mode installation as an alternative to running dcpromo at a command prompt with the /adv switch (dcpromo /adv). 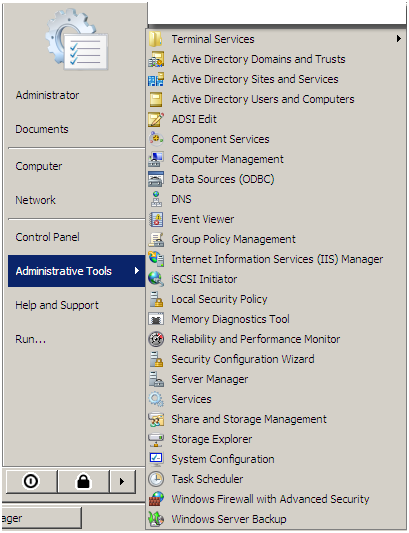 The following table lists the additional wizard pages that appear for each deployment configuration when you select the Use advanced mode installation check box. 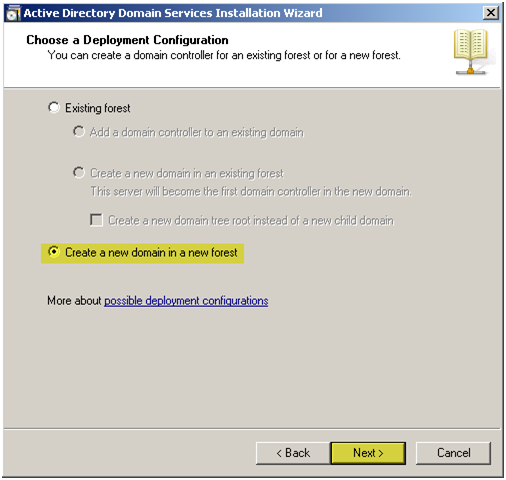 New domain in an existing forest On the Choose a Deployment Configuration page, the option to create a new domain tree appears only in advanced mode installation. We will be creating a nee domain in a new forest. Enter the name of the new forest root. At this point it will check to see if the forest name is in use, since we set the DNS server to itself – it will not get very far. 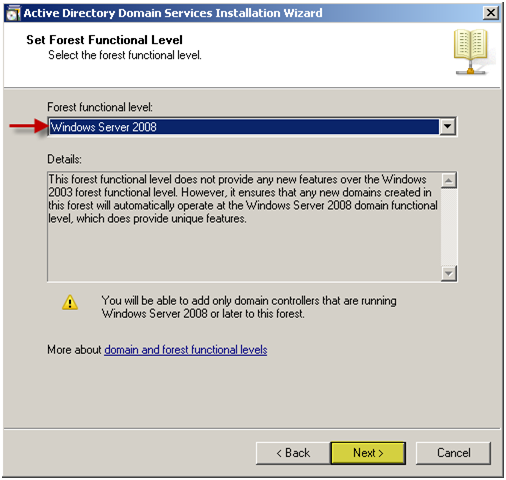 2008: This forest functional level does not provide any new features over the Windows 2003 forest functional level. 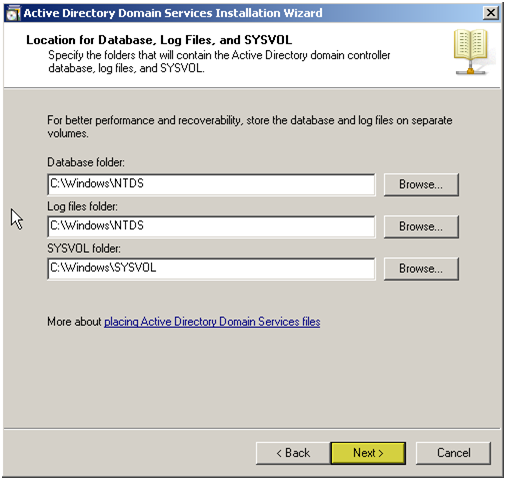 However, it ensures that any new domains created in this forest will automatically operate at the Windows Server 2008 domain functional level, which does provide unique features. 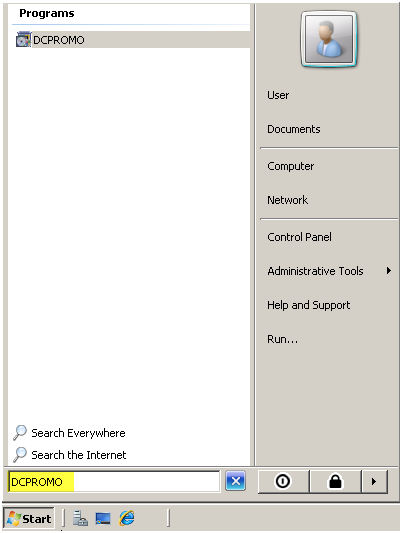 internal resources across multiple forests. 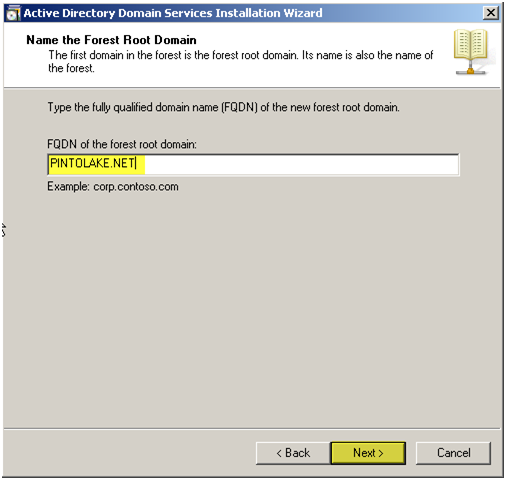 Any new domains that are created in this forest will automatically operate at the Windows Server 2003 domain functional level. 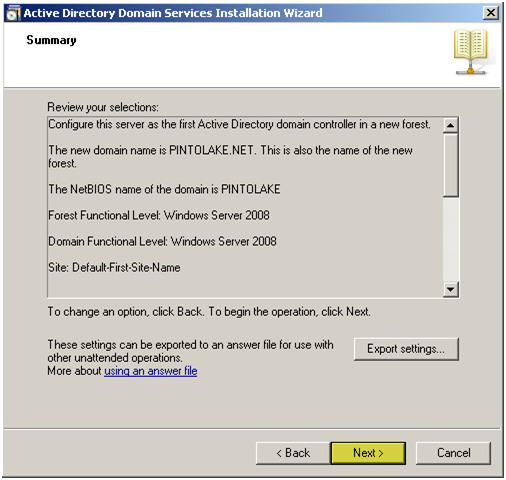 The Windows 2000 forest functional level provides all Active Directory Domain Services features that are available in Windows 2000 Server. 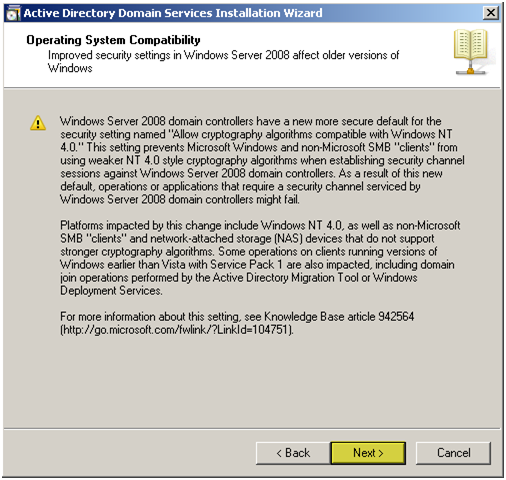 If you have domain controllers running later versions of Windows Server, some advanced features will not be available on those domain controllers while this forest is at the Windows 2000 functional level. You can change these locations but why would you. 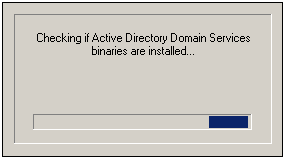 If you are running low on space on your C drive then why even make the box a domain controller? 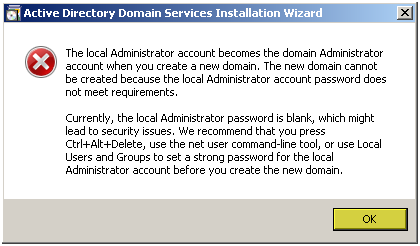 This entry was posted on Wednesday, July 14th, 2010 at 4:26 pm and is filed under Active Directory, Windows 2008. You can follow any responses to this entry through the RSS 2.0 feed. You can leave a response, or trackback from your own site.